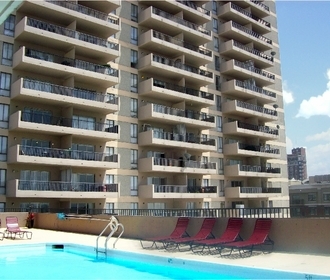 High Rise Apartment Living at Its Best! 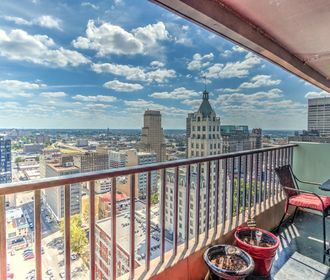 Rising 25 stories high in the Memphis downtown sky, The Renaissance Apartments offers incomparable views and a great location to explore all that the River City has to offer. If you’re looking for value, you’ll appreciate our rents that include utilities and we have parking available and an attached garage. How much better can it get? 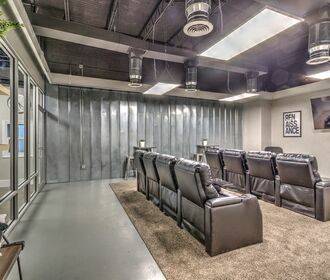 Close to the University of Memphis Law School and with easy access to the medical district add an awesome rooftop pool area, fitness center, community lounge and business center and you have the perfect place to call HOME.